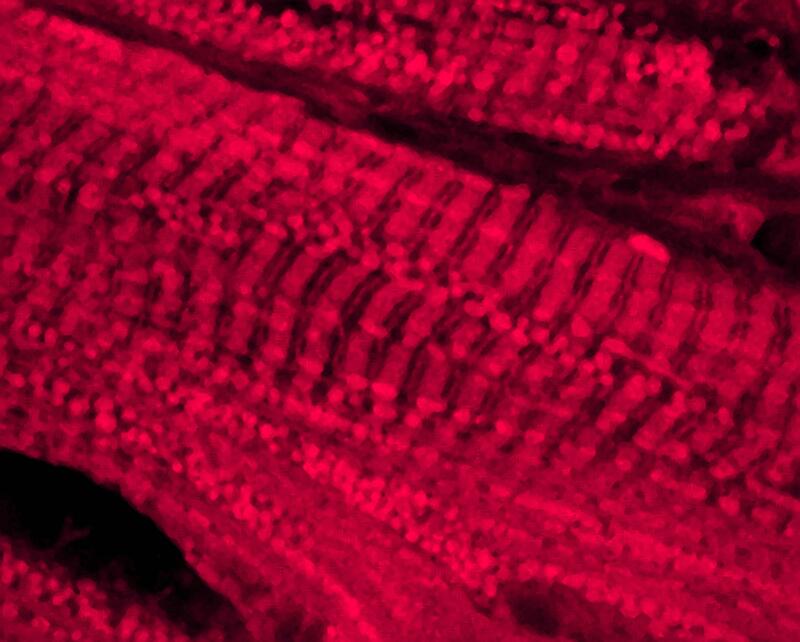 Cardiac muscle stained for mitochondria. Mitochondria provide the energy to power contraction of the muscle. You can use this work for any purpose, as long as it is not primarily intended for or directed to commercial advantage or monetary compensation. You should also provide attribution to the original work, source and licence.